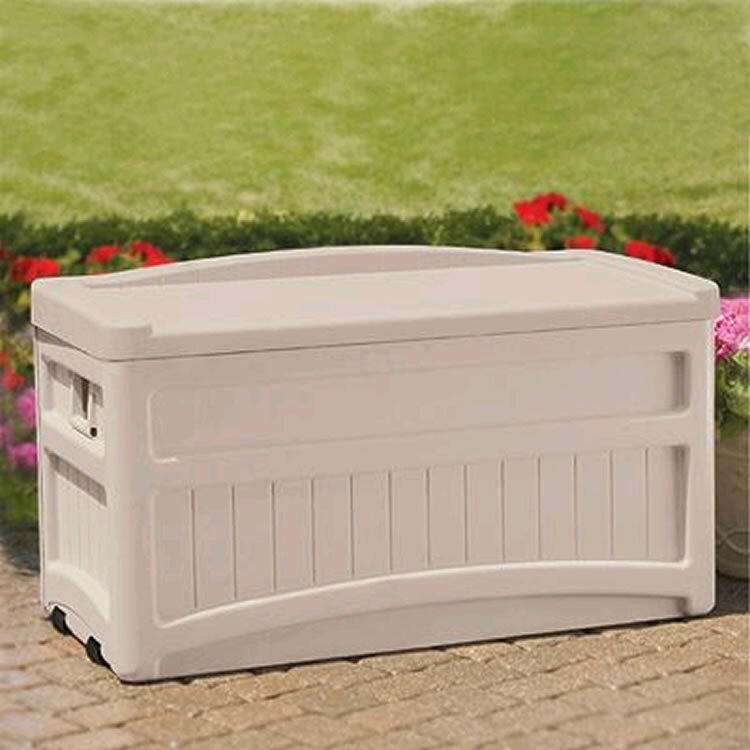 This range of plastic storage units from Taylors Garden Buildings is manufactured in durable resin offer the ideal solution for providing additional outdoor storage space. 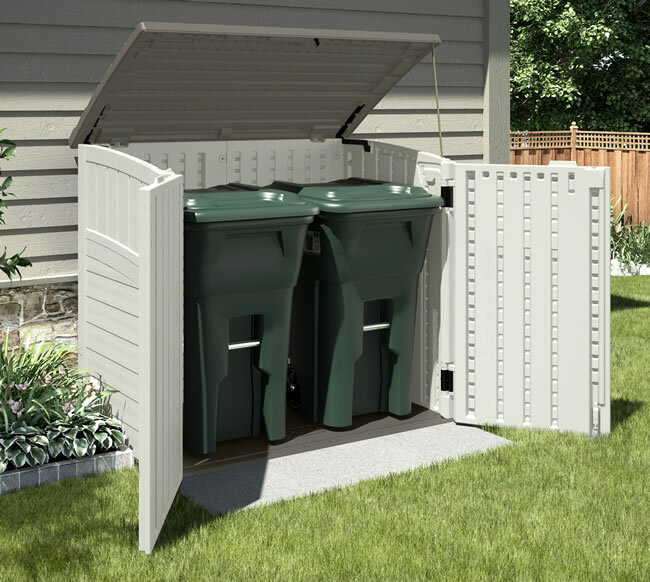 The neutral colours, clean lines and overall utility of the storage units fit the outdoor environment whilst providing an attractive storage solution suitable for the garden, deck or patio. 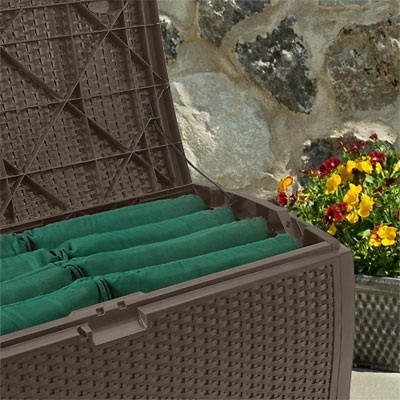 All storage units come with a 15 year guarantee. 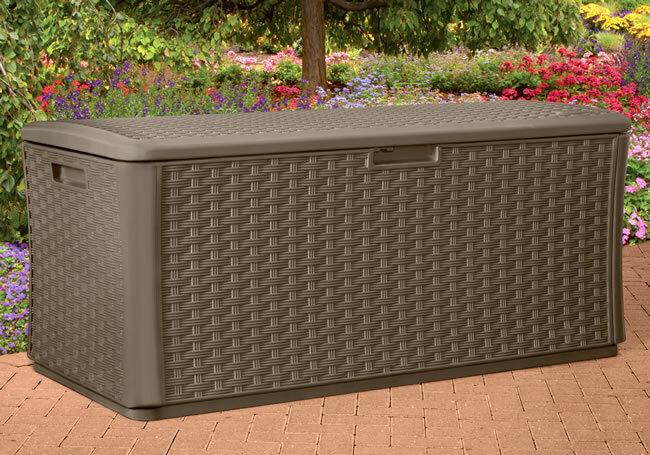 Deck Box with wheels and seat measuring 117x60x65cm provides the perfect storage solution for furniture cushions and outdoor accessories. 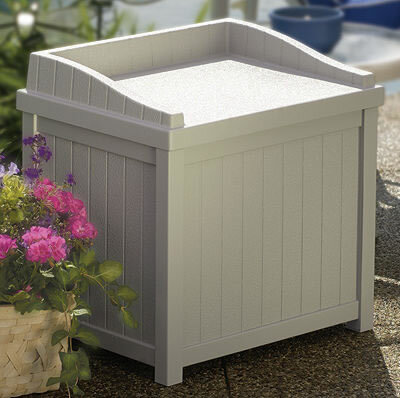 The Kensington Seven Horizontal Shed 4'9 x 6'8. Featuring glide top sliding lid and double doors for walk-in access. Durable resin construction. 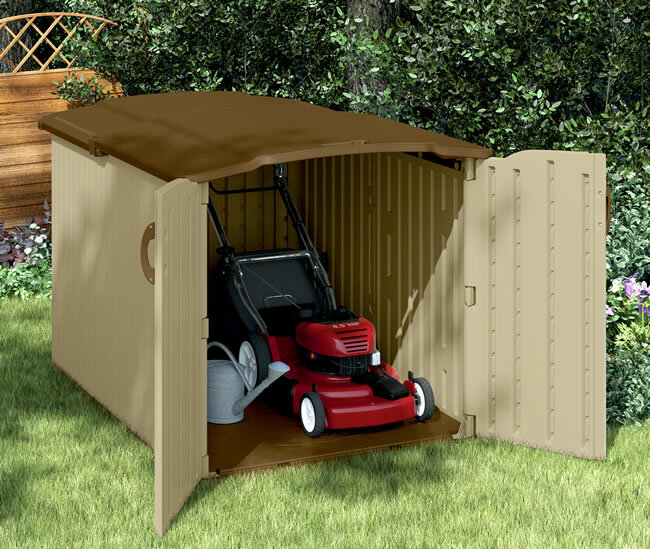 The Kensington Six Horizontal shed 4'4 x 6'7. Featuring strong double thickness wall panels in durable resin. Vanilla finish with stoney accents. 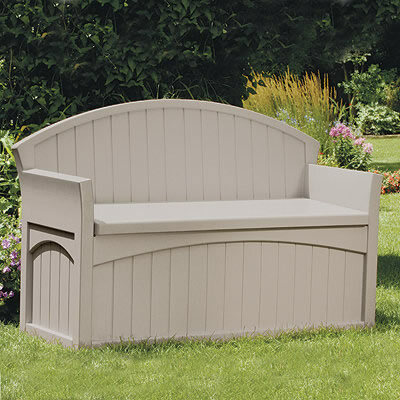 A garden seat with storage capability measuring 2'7 x 1'9, manufactured using durable resin. 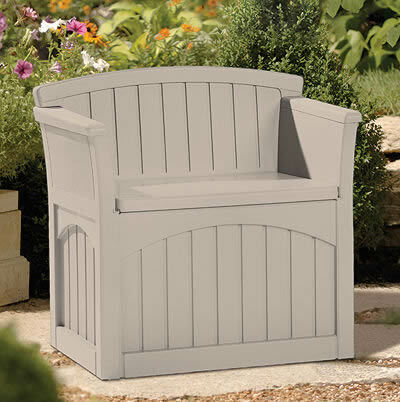 Ideal for one, place on a patio or lawn. 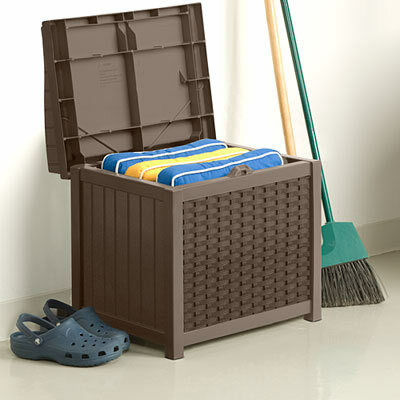 A new Deck Box for 2012, available in Java colouring with wicker effect finish. Featuring strong double panelled walls. 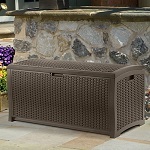 The Wicker Deck box is new for 2013 and has a capacity of 375 litres.